Easily reduced to 21 speaking roles, see "Casting" tab below for full details. Encompasses Overture, ALL Songs, Link Music, Cues and Chord Symbols. (Grade 7 standard). Click "Performance Score" in the "Script & Songs" tab below. Grade 4 Standard, click "Easy Play Score" in the "Script & Songs" tab below. We sell Scripts, Piano Scores, CDs of Backing and Vocal Tracks, Performing, Copying and Video Licences. If you purchase Performing and Copying Licences at the same time, you receive a Video Licence Free of Charge. Please enter the quantity of items you require, move to the bottom and click the "Add to Basket" Button. Prices for ALL our products INCLUDE V.A.T. where applicable. A complete breakdown of V.A.T. content is included on your invoice. Same Day First Class Dispatch if ordered before 12:00 p.m. Instant Downloads allow you to pay online with a Credit/Debit Card or PayPal and instantly download your materials as PDFs and/or MP3s. The traditional means of getting your items. Most of our works are RING BOUND books or CDs of recorded music. U.K. schools can order posted items with a school order number. This facility is available at the end of the ordering process. Non U.K. posted items are sent express tracked airmail delivery anywhere in the world. Musicline subsidise this service. 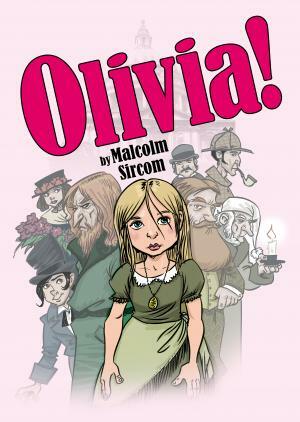 The Musicline Performing Licence covers you to perform this musical. It is illegal to perform ANY published musicals or shows without the appropriate licence. 'Blanket' licences which you may have DO NOT cover the performing of published musicals. A performing licence is required for EACH PERFORMANCE. However TWO OR MORE performances are the same price. Please specify your number of performances. For ONE performance..................... specify 1 in the No. box. For TWO OR MORE performances specify 2 in the No. box. The price of the licence is based on the SIZE of your school NOT the number of children taking part in the performance. This is aimed at accommodating SMALLER schools with SMALLER budgets. Please refer to the table below. The Musicline Copying Licence covers you to copy ALL of any of the items you buy for this show either posted or downloaded. 'Blanket' Copying Licences which you may already have DO NOT cover the copying of ENTIRE published musicals. They do, however, allow the copying of up to 5% of any published non-music edition or 10% in the case of published musical anthologies and piano or vocal scores. It is illegal to reproduce or share ANY published material without the appropriate licence. The price of the licence is based on the SIZE of your school NOT the number of children taking part in the performance. This is aimed at accommodating SMALLER schools with SMALLER budgets. Please refer to the table below. 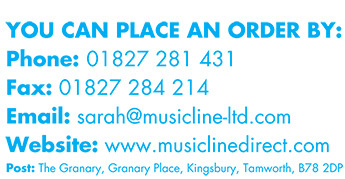 The Musicline Video Licence allows you to record your performances and sell the DVDs without royalty payments applying. The Video Licence is given FREE OF CHARGE if you order a Performing Licence and a Copying Licence at the same time. Only fill in the box below if you wish to purchase a video licence separately.